Marketing reports can be few and far between for technical areas such as turbocharging, and those that are readily available cost a small fortune, at the time of writing the only readily available reports to individuals will set you back around $2500-5000 for a single user license. With that in mind we have gathered together as much information as possible from other available sources here in this article, some key references are listed at the bottom of the page. 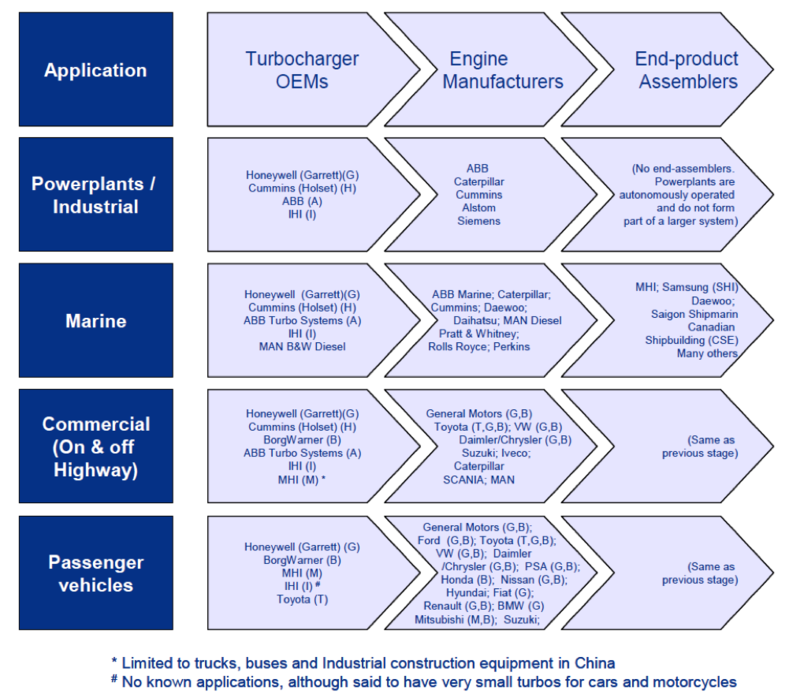 First and foremost, turbocharging as in industry is on the rise. Global trends in engine downsizing for efficiency gains and reduced emissions are driving the demand for smaller engines, which in turn require turbocharging in order to maintain performance levels. There are a number of options for engine manufacturers to chose from at varying cost, with fixed geometry turbines the simplest and cheapest solution. Fixed geometry turbochargers have the infamous of problem of slow spooling up, and lack of performance at low RPM ranges. Turbo lag is a commonly used phrase to describe the sensation of very poor transient response from a turbocharger at low engine speeds. A solution to this problem is variable geometry turbocharging (VGT).